Where to stay in Hamilton on a budget? In Hamilton, you’re in the centre of all the action: Hobbiton, Raglan, the Blue Springs in Putaruru, and so much more! 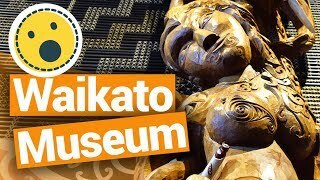 Plus, the city has it’s own attractions like the Waikato Museum, New Zealand’s only tea plantation, and the award-winning Hamilton Gardens. Hamilton is a great place to base yourself when exploring the Waikato region. With that in mind, here are the best backpacker hostels in Hamilton! For more things to do in Hamilton, be sure to check out our Hamilton – Guide for Backpackers. 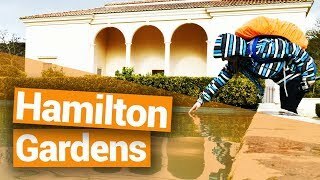 And to help you save the cents further, take a look at 10 Free or Cheap Things to do in Hamilton. Stay right in the heart of Hamilton in the conveniently located Backpackers Central Hamilton. There’s plenty of space in this hostel with two kitchens and lounges, as well as a few welcome additions like free unlimited WiFi, free parking and free breakfast! Rooms include dorms, female dorms, male dorms, singles, doubles, triples, twins and ensuites. Check Backpackers Central Hamilton out! Within walking distance of Hamilton city centre, Microtel Lodge is a small but quality accommodation with dorms and private rooms. Facilities include a communal kitchen, free on-site parking and the dorms are ensuite. Plus, there’s free Internet access. Offering the cheapest dorm rates in Hamilton, the Eagles Nest Backpackers is worth considering. The hostel is just a short walk from the city cente and close to supermarkets. It has all the facilities expected in a hostel from kitchen to lounge, as well as some additions like a steam room and barbecue. Some rooms have their own balcony. An alternative hostel option in Hamilton with super cheap private rooms is the YWCA. With a hostel open to both females and males, rooms include private singles, twins and doubles. There are shared facilities such as a kitchen, lounge, bathrooms, laundry and free limited WiFi. The location of this hostel is also within walking distance of the city centre. A backpacker accommodation alternative is staying in a holiday park, which like hostels, has shared facilities like kitchens and laundry. The Hamilton City Holiday Park has self-contained units, as well as affordable cabins with doubles, twins and singles. There are powered sites and tent sites too. Kitchen utensils are available to hire for NZ$10. The holiday park is situated 3km from the city centre. 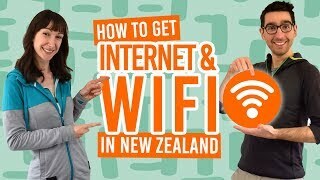 They don’t have free WiFi, but don’t worry, we’ll give you some tips here.